On February 5, Pete Davies and Donie O’Sullivan laid a long sought-after problem to rest with the first winter ascent of The Primate (VIII,8) on the West Wall of Mitre Ridge in the remote Garbh Choire of Beinn a’Bhuird. 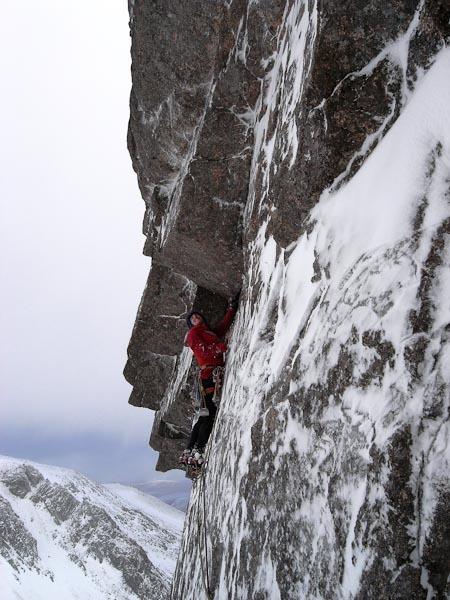 This entry was posted in New Routes and tagged Beinn a'Bhuird, Donie O'Sullivan, Pete Davies. Bookmark the permalink.